It’s a magical full-moon evening . . . I hope you feel it, too! I was so busy I almost missed it, but Honey insisted we head for the trail. As we walked in the light of dusk, into the soft burnt-orange landscape, I looked up and saw the mountain peaks turn pink and the white dim circle of the moon already high in the sky grow brighter and brighter, coming into her full glory. It’s so good to walk and walk until all your earthly concerns fall away. Your ears open to the chorus of crickets, and as night falls and your mind slows down, you hear the heavenly nature choir. And you know in your heart that the Garden of Eden is a state of mind. My little sister got married again yesterday. She found her new husband at Vons*. She said that she had prayed to God to help her find one. She told the Lord that she was tired of being single. On a Sunday morning, right after church, she went to Vons and decided to treat hubby hunting (I paraphrase here) like shopping. She would go up and down the aisles until she found the right one. So on faith she looked all over the store. But she didn’t see any husband—or at least none that suited her fancy. But when she stepped outside, right there in the parking lot —lo and behold— there he was. She said she knew it instantly. He was on a motorcycle, wearing a cool black jacket and shades. She pointed her cart in his direction and walked her svelte figure in her Sunday heels right over to him. But most important, when she told him she’d just been to church, he said, “I’ve got to start going to church again. . . .” She knew her prayers had been answered when he confessed he was a believer too. Naturally, I, as the older and wiser big sister, tried to get her to wait a few months, until that giddy head-over-heels-in-love feeling runs it’s course. But by the time I lured her into my yoga room to talk sense to her they’d already been to the courthouse for a license and to the jeweler for rings. So yesterday, the day before the Autumnal Equinox, at 5:00 p.m., I found myself hiking up a steep winding mountain trail overlooking the ocean with the fittest wedding party you could ever hope to see. The groom’s buff runner friends sprinted ahead, carrying photo equipment, champagne, apple juice, and bouquets of flowers. The non-running friends and family members sweated our way to the top in the course of an hour, stopping to catch our breath and enjoy the spectacular view. Tonight, at twilight, watched the sliver of the moon grown brighter and brighter. Leaned against a giant warm boulder, little Chico safe on top, and Honey and Nubio, the black dogs, panting at my feet. Time to stop in my tracks and breathe in the darkening landscape, the sky still light around the edges of the mountain peaks. Time to be quiet and listen for the subtle sounds in nature. Almost every night as I walked by with my boy Bo, coming home from one of my housecleaning or babysitting jobs, there she would be, sitting still on her perch overlooking the valley below, watching the setting sun. So now here I am, finding my own footsteps into the magic of twilight, but also following in the footsteps of all the elder women who long ago left an impression on my young consciousness. . . .
After my trip through Meiners Oaks, I cycle over to my parents’ private, deluxe nursing home on Fairview Road. My timing is perfect, as my dad is trying to convince my mom to wash her hair. My father and two younger sisters can handle almost every aspect of my mom’s care without me, except for one thing. I am the only member of the family who has succeeded in coercing my mother to sit on her shower stool and actually take a full bath. If you want to know how strong a thin, ninety-two-year-old woman can be, try moving my mom from her easy chair into the tub! I tell my dad to relax—that I’ll handle giving my mom a shower. But first I have to butter her up. My mom asks the same questions over and over again. She can’t remember the last time she had a bath, what day it is, or who the neighbor is, but she still speaks five languages. Her favorite thing is teaching me Spanish. So I sit on the floor near her easy chair while she reads out loud from her lesson book. After about ten minutes of Español and joking about my weight (my skinny parents cannot get over how fat I am), I nonchalantly suggest to my mom that this is a good time for a bath. I finally get my mom up from her chair. At first she refuses to walk. She yells for my father to save her, and then curses him for being on my side. Then she yells for the police. Finally, she appears to throw in the towel and makes her way toward the bathroom, me right behind her in case she falls. Then, in the hallway, instead of veering toward the bathroom door she walks right past it and straight into her bedroom. “You are not as quick as you think!” she yells gleefully and quickly slams and locks the door. My best strategy for getting my mom in the shower is to wait till she’s on the toilet and then steer her onto her shower stool right after she gets off the toilet. But it’s too late for that trick today. Ten minutes later she opens the door, and angrily agrees to have her hair washed in the kitchen sink. I quickly clear the dishes, grab towels and shampoo, stick a basin in the sink, and fill it with water. Despite all her yelling that I use way too much shampoo and her threats to disown me, I love washing my mom’s hair and scrubbing her scalp and neck. After she’s all rinsed and dried off, with her damp clothes removed and her bathrobe on, she orders me to get out of the house—now! An hour later my father calls to thank me. I can hear my mom playing the piano in the background, her ordeal forgotten. “She smells so good,” my dad says. Riding my bicycle through Meiners Oaks feels like a long, strange trip through my past. My conscious mind is present, enjoying the balmy weather, the rural route from the river bottom to Mira Monte, but on the way home, as I pass the homes of childhood friends and other places that shaped me, all sorts of molecules of memory are unleashed. There’s The Farmer and the Cook, in the building that once housed the five and dime store where I bought my first bottle of miracle Cover Girl make-up (to make my brown skin whiter), pale pink lipsticks, bags of curlers, and endless Noxema creams, hair spray, and lotions and potions to emulate the girls on the covers of Seventeen. Next door to The Farmer is that house where I once saw my friend’s older sister making out on the couch with her boyfriend. I didn’t know what they were doing, but my Pentecostal brain recognized that this was surely sin! A few blocks from The Farmer comes the house of my best fifth-grade friend, Brenda, who had diabetes and was short for her age but whom I envied because she was an only child with ten pairs of sneakers in all different colors, with matching socks, and cute matching pleated skirts, shirts, and soft wool sweaters that hung all nice and neat in her very own closet. She had more clothes than I had ever dreamed possible, as well as huge stacks of True Romance and Archie and Veronica comics that went halfway up to the ceiling. Her parents were alcoholics, but I didn’t notice that . . .
Across from Brenda’s house is the trailer park where after school I helped an old man who was a friend of my parents . . . a lonely man who smelled of Old Spice and wore a St. Christopher medallion . . . a good Catholic who paid me to sweep the oak leaves off the deck, wash his dirty dishes, and help him with his laundry. His cupboards were filled with forbidden foods like Spam and Saltines and Nabisco Vanilla Wafers and Ginger Snaps . . . there was always a bowl of red Jello in his tiny fridge, and whipping cream that you sprayed out of a can—foods not found in my mother’s health-food kitchen. After my jobs were done, we’d sit on a bench at his table and eat goodies together, until one day when I realized I should not be sitting on his lap and what he was doing was wrong. A few weeks later, my mother showed me his obituary in the paper. I can still feel the shame and guilt that washed over me. For years I couldn’t shed the feeling that my abandoning this poor, lonely old man had somehow caused his death. In 1966 I met a Buddhist couple at Bart’s Books who flat-out told me that I saw the world through rose-colored glasses. This morning, when I woke up after a night of strange dreams and revelations, it dawned on me that I’m finally beginning to grasp what they were talking about. You could not help but notice this odd new Ojai couple. The woman’s name was Dolly Facter, and she gave me a copy of her book, The Doctrine of the Buddha. Dolly was a little bitty powerhouse, with a crop of short, wild, white hair and huge black-rimmed glasses. She was probably in her late sixties, and usually clad in black tights, sandals, and a baggy top. Her husband, Richard, a good twenty years younger, was a tall, red-bearded, red-haired hippy-looking fellow who had a knack for making me feel uncomfortable. Always accompanying them on their walks all over town were two big, black, standard-size poodles that Dolly told me were in line to reincarnate as human beings next lifetime. Dolly and Richard were vegetarians on Dr. Bieler’s Food Is Your Best Medicine diet. No wonder I started hanging out at their house on North Ventura Street, where they fed me big bowls of steamed zucchini, celery, parsley, and green beans, served with thick slices of Ranch House bread slathered in raw butter. Dolly and Richard tried to plant in my rose-colored teenage mind the Buddha’s wisdom that “Life is suffering.” I didn’t want to believe their favorite expression: “Human beings are a mixture of greed, hatred, and ignorance.” But, this morning, as I thought of the painful childhoods and horrific blows my yoga students have shared with me these past forty-plus years, it struck me that my Buddhist friends were right. I not only saw the world through rose-colored glasses . . . I flat-out refused to take them off. Tonight, as the mighty mountains grew darker, the sky was ablaze—the last rays of sunlight lingered even when the mountains turned pitch black. The dogs and I were late heading out, I having spent the afternoon unpacking boxes of books—like seeing my life flash before my eyes. Books on every subject under the sun . . . fifty years’ worth of books on animal rights, on men and relationships (most bought when recovering from a broken heart, like Gods in Everyman by Jean Shinoda Bolen), dozens more on the dire state of the world (First Kill Your Family on the child soldiers of Uganda), and all the endless books by every guru that walked the face of the Earth these past fifty years, from Da Free John to J. Krishnamurti to Byron Katie . 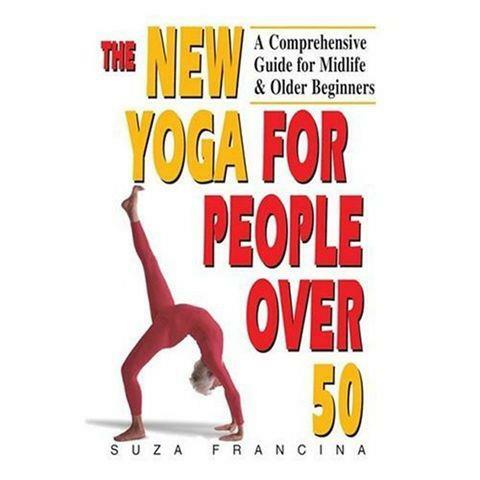 . . And of course all the yoga books, half by people long gone . . . Books by all my Ojai author friends, going way back to Beatrice Wood . . . Plus piles of books on living lightly on the Earth (Asphalt Nation, The Last Hours of Ancient Sunlight, Green Yoga) and all the great memoirs like My Life So Far and My Life in Orange that helped me during the hard times . . . plus all the books read for sheer pleasure and unbelievable escapes . . .
As I head home and watch the landscape grow darker, carrying Chico, Honey leading the way, I think about letting all my books go, letting all my unessential material possessions go, letting go of everything I identify with, as part of the great cosmic experiment of living on the Earth plane. This I will do before I die—but I’m not there yet! You are currently browsing the Suzaji's Blog blog archives for September, 2012.